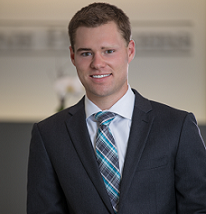 Carson started as an analyst with Bourne Partners in 2018. During his time with the firm, he has provided execution support on various M&A transactions. Prior to joining the team, Carson received a B.S. in Economics & Finance from Centre College and an M.S. in Finance from Vanderbilt University. Outside of work, Carson enjoys playing golf, traveling, running and weight lifting, and visiting new craft breweries in Charlotte.